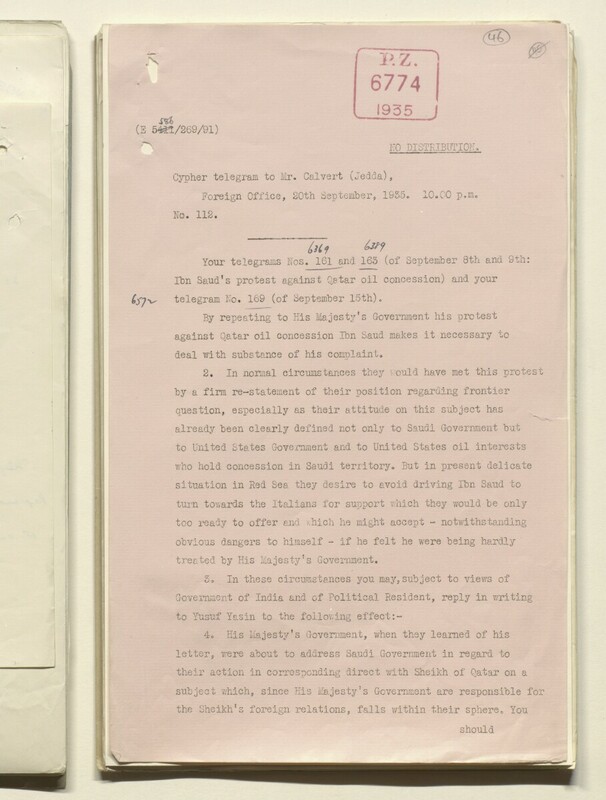 Foreign Office, 20th September, 1935. 10.00 p.m.
telegram No. 169 (of September 15th). deal v/ith substance of his complaint. treated by His Majesty’s Government.